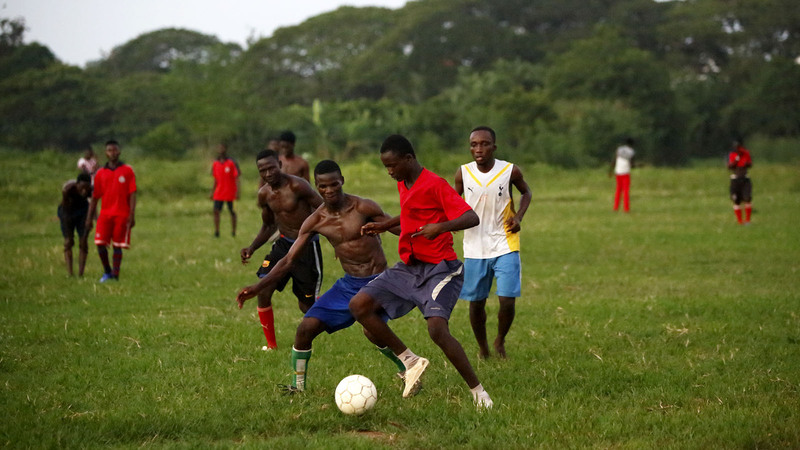 Reports of West African youth being trafficked within the football industry have captivated media and political interest. Problematically, while the majority of media accounts are good at highlighting the exploitative practices the players encounter, and the dire conditions they end up living in, they often fail to provide a clear outline and description of the migration process. This leads to confusion and misunderstanding. 1. An intermediary claiming to be a football agent or talent scout identifies a player in a match or trial and offers him the opportunity to be signed by a foreign club. In some rare cases the intermediary does not physically meet the player, as recruitment takes place via the internet. 2. The intermediary asks the player for money in exchange for securing this opportunity, akin to a ‘finder’s fee’. Additional funds are also asked for to cover living costs and spending money in the destination country. 3. The player’s immediate and extended family often sell family possessions, remove siblings from schooling or take out a loan to meet the costs. This is typically in the region of €3-5,000. 5. On arrival in a destination country, the intermediary often takes the player’s documents and any spending money for ‘safe keeping’. 6. While in a destination country the player may or may not attend a trial with a club. In some cases the agent abandons the player on arrival in a destination country. 7. If the player is not abandoned on arrival, they might be taken to multiple trials until a contract is offered and the agent is satisfied with the terms. 8. If the trials are successful, the player signs a contract with the club. Problematically, the contract is typically exploitative with unfavourable terms for the player. 9. If the player is unsuccessful at his trials or his contract is not renewed and another club cannot be found, the intermediary abandons him; Often taking his ‘finder’s fee’, the player’s documentation and any remaining money with him. 10. Once the player realises the precarious nature of his situation he is often reluctant to return to his country of origin, and may decide to remain in the destination country illegally without any means of subsistence. The migratory process outlined above appears to comply with understandings of trafficking as outlined in the Palermo Protocol, which is a key legal reference point on human trafficking. This is because Steps 1-5 feature an act such as the recruitment and transportation of others, which is followed by the methods used to enforce those act(s), such as threat, the use of force, fraud, coercion or other abuses of power or of a position of vulnerability. Meanwhile Steps 5-9 relate to a motive i.e. to obtain financial gains through exploiting the player. To be clear, in some cases after handing over money to an intermediary the player does indeed obtain a contract or trial with a club, albeit of an exploitative nature. This is what is known as ‘human trafficking in football’. However, in the vast majority of cases, the alleged interest from a foreign club is a sham, and the intermediary abandons the player once they arrive in a destination country. This is known as ‘human trafficking through football’. Human trafficking in football and human trafficking through football are often conflated together under the title ‘football trafficking’. It is important to note that while cases of human trafficking in football comply with understandings of human trafficking outlined in the Palermo Protocol, not all cases of ‘trafficking through football’ will do. Put simply, this is because of ambiguity concerning whether exploitation has actually occurred if the player is abandoned upon arrival. What is not in doubt is that football trafficking is an irregular form of migration because it includes people who enter a country without the proper authority; people who remain in a country in contravention of their authority; and people moved by migrant smugglers or human trafficking. Poli, Raffaele. 2010. The migration of African football players to Europe: Human Trafficking and Neo-colonialism in question. Presented at the Football for Development Conference, Vienna, Austria. Koser, Khalid. 2010. Dimensions and dynamics of irregular migration. Population, Space & Place 16, 181–193. Dr James Esson is a lecturer in human geography at Loughborough University.